To make you feel even more frustrated with my awesomeness, yesterday I called long ChinaAMC CSI-300 ETF in HK (see “the sky is falling” thread), and placed the trade. Today it was up 23.1%, making it the best return out of the thousands of China stocks. Oh and my long Hang Seng pick from yesterday was up 4.1% too. On a serious roll. I’ve actually been thinking about this question lately. When was the last time? On the Micron Q1 earnings up, shares down event, I took a loss, realized my mistake, and ran far away from that stock. Also back around Q1 I hedged A-shares using ASHR in NY, which was a stupid move, took a loss on the hedge. The question was asked, and answered. Hey purealpha, I just saw this ad and thought of you. How long have you been around kid? See time-stamped posts on here for the last 10 years. Shorted VXX again at $21.56, will double down if it goes totally nuts Fri/Mon due to Greek silliness. ^ Damn, I may have nailed the top on that one, it’s shooting straight down with the (almost) Greek deal. Need to have balls and ride this one straight down to a 25% gain. ^ will read tomrw, though I’d be very surprised to see any evidence blaming market makers for higher vols. A lot of peoplle that I’ve spoken to fail to understand the diff b/w hft and market makers. anyway, thanks for sharing the paper - will read and come back. Just booked a 17% gain on that last VXX short, this is easy money guys. Letting the XIV long position run. Keep up the good work OP. You seem to be doing very well. I enjoy the reads. One word of serious advice - if you have done as well as you say to this point - only trade with the gains you have made up until now. Don’t go in your back pocket and raise the stakes because feel you are a genius and can’t lose. Just keep doubling down if things work against you. That always works. Exactly, see it’s not hard guys! Shorted @ VIX 20 as it was 90% chance Greece would sign a deal, low probability of it going higher (China stock market was a non-issue). If Tsipi had done something unexpected/stupid and VIX hit 30, then additional short. If it actually turned into an exit and VIX hit 40 then additional short. Maybe it goes to 45 like in 2012, then it goes down, then I make money. What’s important is financial strength and size of bet – I can hold to VIX 500+. It’s not rocket science guys. There’s no mathematical way I can lose, even if I wasn’t ace at timing the fear-market and gauging real risk. Now, what I want is a VIX 60 event, something really serious that I can sink my teeth into, not these little mini-disaster dramas. …. and I’m done with this thread. LOL, I knew you’d like that! I’m like a market timing machine. Ok Purealpha - now what? VIX spiked to 21.5 (10:30 EST). What do we do? Short it now? Your wisdom after the fact is always so amazing, I’d be curious how it works in real time. lol. Interesting, Bloomberg just said this is the most VIX has jumped in a week, ever! Yes, I’ll double again in the 40s. It’s a slow down in China, not the subprime collapse. 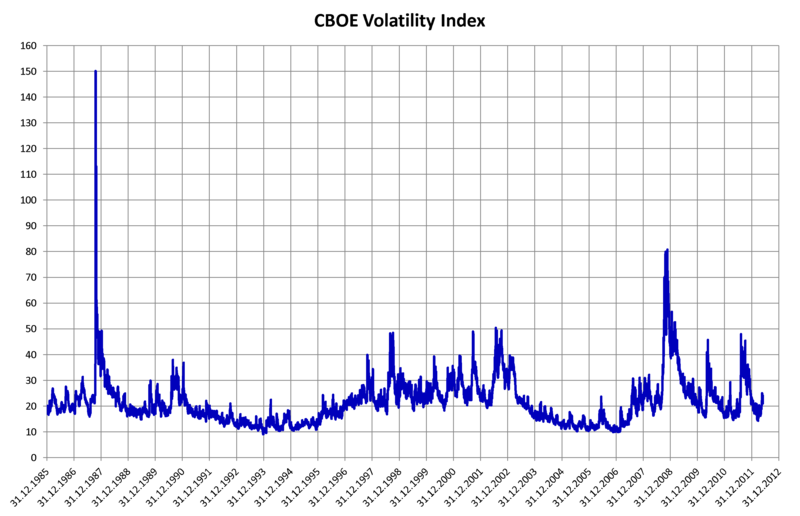 The VIX history has already been mentioned about a dozen times on this thread. We are all aware. Seems like you can’t be allocating very much to this strategy if there’s always extra cash lying around to double down after your returns reach -100%. Yeah, we might get some really juicy prices today. Asia shat their pants, here at the lunch hour. But VIX @ 60 wouldn’t be my base case scenario for this event, it only hit 80 during subprime. If we scroll up, I made around 25% return in a week last time I shorted. So at only 5% of my portfolio, that short shifted YTD returns up 1.25%. A small allocation can make a big bang. It was all modeled out back when I started this thread. My buys for this specific event are VIX = 25, 35, 45, double down each time, which results in an avg of 39 (sitting on a volatility short at 39 is a winning move kids). A predictable slow down in China is not really a > 50 event (and can be contained by no FOMC rate increase, QE4, and a CN stimulus package), but should it go there I could probably find extra cash. The higher VIX goes, the lower the probability of it going higher, and the shorter the time period it stays that high. Anyhow we only get these events every 4 years or so, so it’s a great time to establish a long-term position. For example, since 2011 XIV has made 8X money. Volatility eventually settles down, contango does its work, and we make money…even if the S&P500 sits at 1800 for years. Since I’m not bullish on overpriced US equities, I chose a vol short instead, because I am bullish on USG support stepping in to bring the fear down. …dudes with the numbers we are seeing in premarket, I think we might see VIX @ 40 today. Looks like everyone came into the office early to click the sell button. At moments like these, the biggest question is how levered are things. Sell buttons don’t just get pressed because of panic, they also get pressed because of forced selling and margin calls. ^ Absolutely, I assume the levering-down and margin call spiral of death has been happening in China. Right now some levered hedge fund guy in NY is crapping his pants. IB issued their first alert of this correction, they won’t be resetting margin during the day. 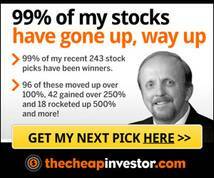 Whoh, VXX moving 30% in premarket, S&P500 down 4%, I say VIX open at 42. Cmon baby!